This morning I read that Peter Tork of the Monkees has passed away. I, for one, really enjoyed watching the show as a kid and have always been a fan of their music. Posted on February 21, 2019 Categories musicLeave a comment on Farewell Peter Tork! 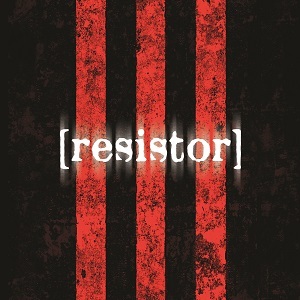 Digging through albums I haven’t played in a while and I’m delighted to “rediscover” Resistor‘s self-titled first album from 2008. Today I didn’t have a plan for playlist at work but it has turned into a Resistor day as I’ve listened to most of their albums. Hello everyone! I’ve decided to resurrect this blog. It won’t be about just music but as that’s still my primary hobby you will still see a lot of it. In fact here’s a short post about music to get back into the swing of things. Why do I weep for the future of prog? A majority of posts in every group I’ve joined are from bands that are long gone or riding on the coat tails of nostalgia. They haven’t released any new material in decades. This is why I focus on newer bands and the ones still putting out new music. Don’t get me wrong, I love the classics, but how many times do I need to hear Close to the Edge or Aqualung again? Posted on January 28, 2019 January 28, 2019 Categories musicLeave a comment on We’re Back! I’m an unabashed fan of high definition digital music. Once a friend sat me down in his listening studio and played some music for me off of SACD, DVD-A and Blu-Ray Audio my future became set and I had to setup my own system. Since then I’ve been slowly building it up and yesterday another piece of the puzzle came home. 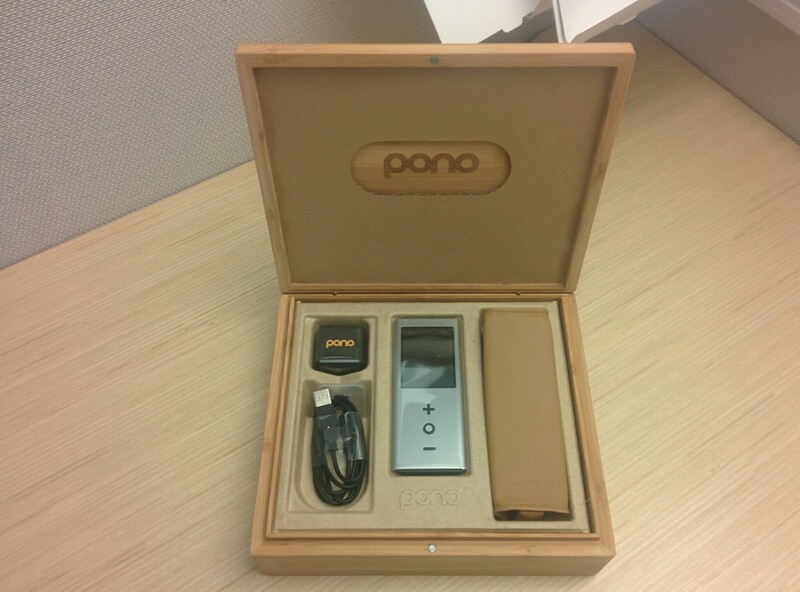 The Pono Player, which I picked up from the Kickstarter project, arrived and I was able to unbox it and give it a listen. 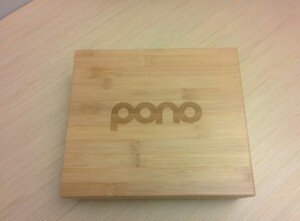 The nice bamboo box that contains the Pono Player and it’s accessories. Your view after opening the Pono Player box. The player is in the middle, the manual on the left and the leather case on the right. Under the manual is the wall charger and a micro USB cable, used to charge and load music onto the Pono Player. 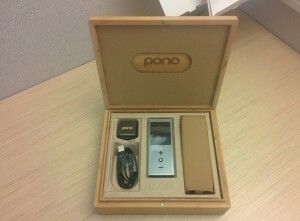 These first three images show the box which came with my Pono Player. I found it to be an attractive bamboo box and great place to store the Pono Player and its accessories on my shelf. 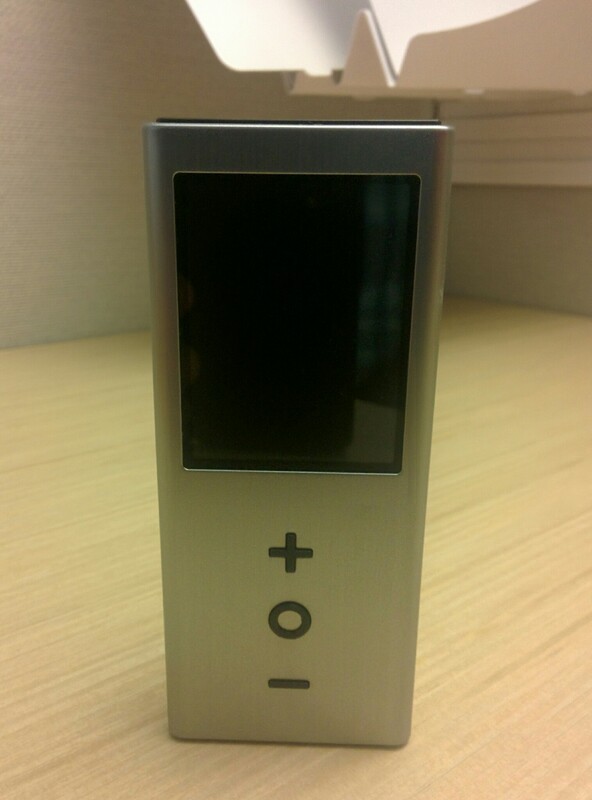 The front view of the Pono Player. Very sleek and simple. Volume up, power/play/pause and volume down buttons and the touch screen display. You can see the engraving marking that I have the signed CSN version of the Pono Player. Limited edition number 1 of 494. 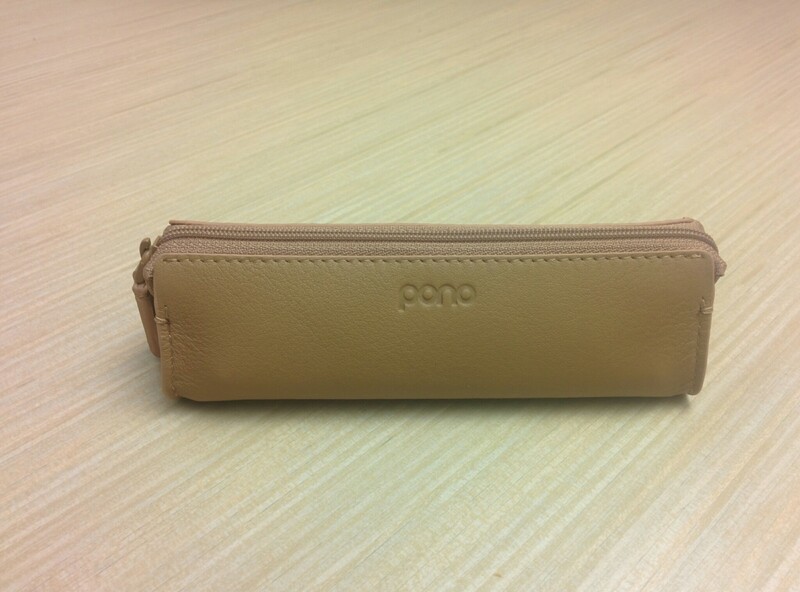 The leather carrying case that comes with the Pono Player. There is room for the device and two SD cards. These images show the player and the leather carrying case that was included in the box. I have heard a lot of complaints about the shape of the player but after a few days of carrying it with me and using it during the day at work I had no trouble with the shape. In fact the triangle shape works great when the player is sitting on my desk. I can see what’s playing on the screen and the album art behind it. It’s quick to access the controls so I can press pause when someone walks up to my desk to ask a question. That’s great, Brendan but how is the sound quality? It’s amazing! I only use FLAC format audio files and I use the best mastered albums and high definition audio if I can get it. For the standard mass marketed CD using the Pono Player would be overkill and I wouldn’t spend the money. However if you, like me, have a taste for the good stuff this player blows the doors off of any portable players I’ve heard before. 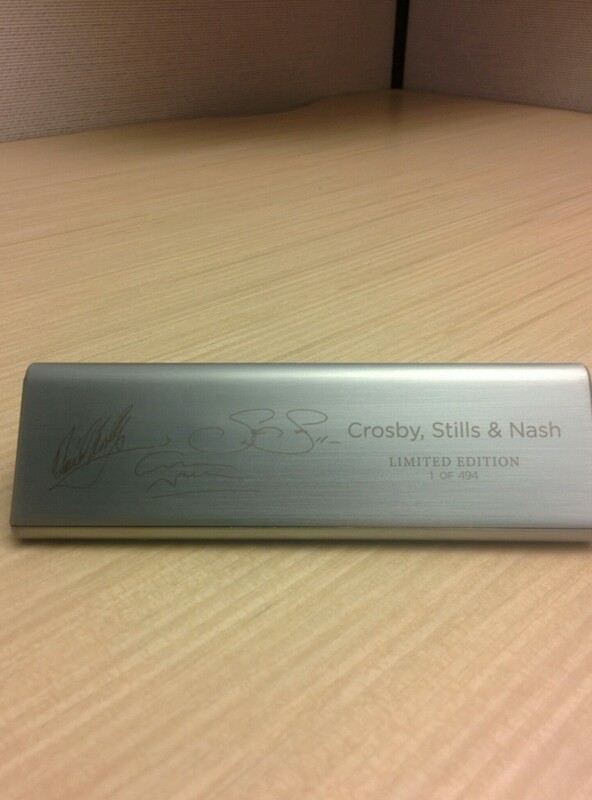 Having ordered the Crosby, Stills & Nash version mine came loaded with Crosby, Stills & Nash [192 kHz 24 bit] and CSN 2012 [192 kHz; 24 bit] and Neil Young‘s Harvest. I have the Crosby, Stills & Nash album from an Audio Fidelity SACD release and I think I’ll go pick up the original mass market CD so I can do some A/B testing for a later more detailed post about the audio quality. The version of Crosby, Stills & Nash that came loaded on my player sounds awesome. Very clean with a good dynamic range. 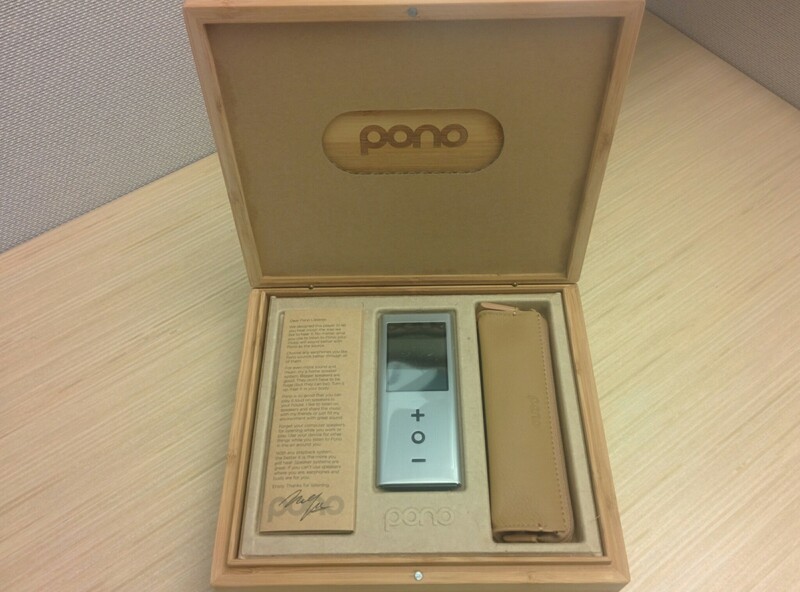 So far I’ve only found two minor issues with the Pono Player. I listen to albums not songs and so I use album shuffle a lot. So that would be a nice addition to a future firmware update. The second problem is the battery doesn’t last a full day of listening. I work in an office and spend most of my time working at my desk. Sure, I could plug in a spare cable and charge it during the day but when I’m travelling I might not have that option so a larger battery capacity would be welcome. All in all I’m very happy with the Pono Player and it has replaced my iPod and phone for my on the go listening. I would recommend the Pono Player to anyone who was interested in high definition music on the go. We spent that much collecting the high definition music doesn’t it deserve a high definition player? Next I’ll perform the A/B testing with some albums and also review the sound quality of a purchase or two from the Pono Music store.